I love instagram but I hate that all my fun pictures are stored on my phone and not where I can see them and remember all the good times I've had with my little family. 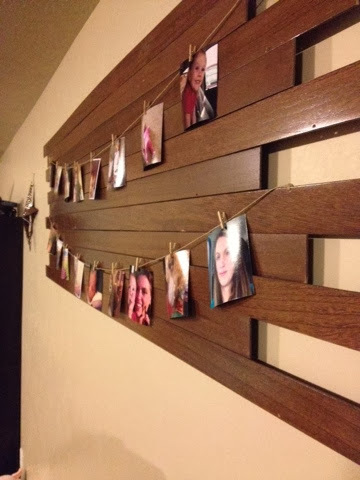 So when my husband shortened all of our wood slat blinds and we ended up with a bunch of wooden slats I decided to create a way to display those pictures. 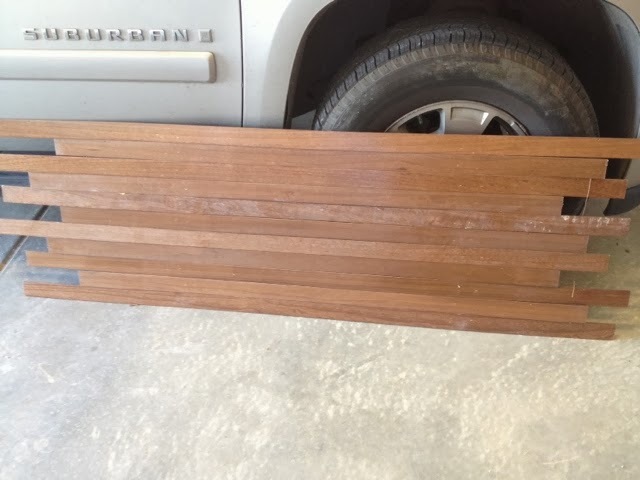 I cut 2 - 1x4 inch boards the length that I needed. 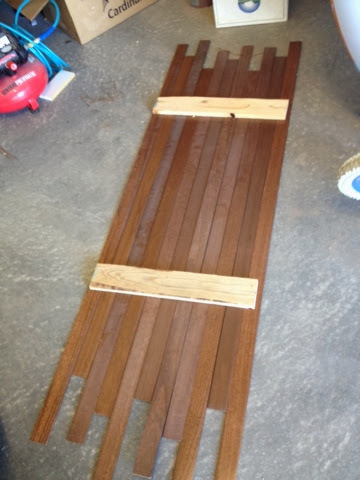 Then nailed the wooden slats to the boards. 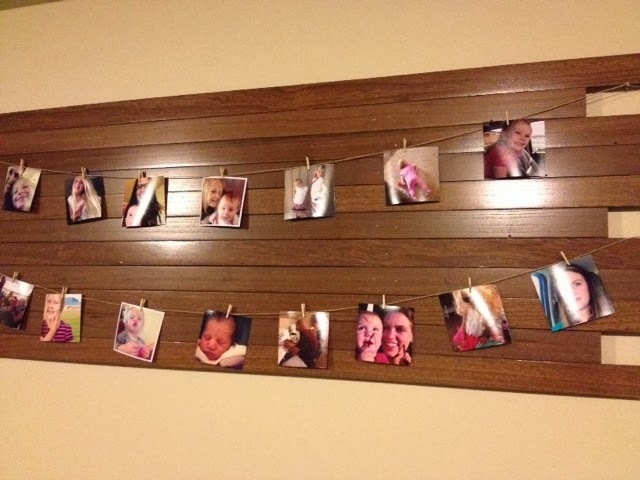 I used picture hangers on each of the 1x4 boards to hang it onto the wall. Then I took hemp string and tied it to the wooden slats. I printed my Instagram pictures directly from my phone at +Walgreens and hung them using mini clothespins. 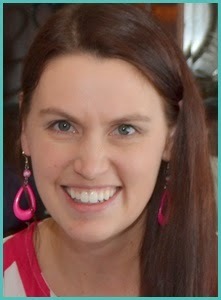 I like to change out the pictures every couple of months to keep them updated. My girls love seeing the pictures and sharing them with people that come over. Now I just need to figure out a word to place on one of the bottom corners in vinyl. Any ideas?